Is a king in the cards for Georgia? 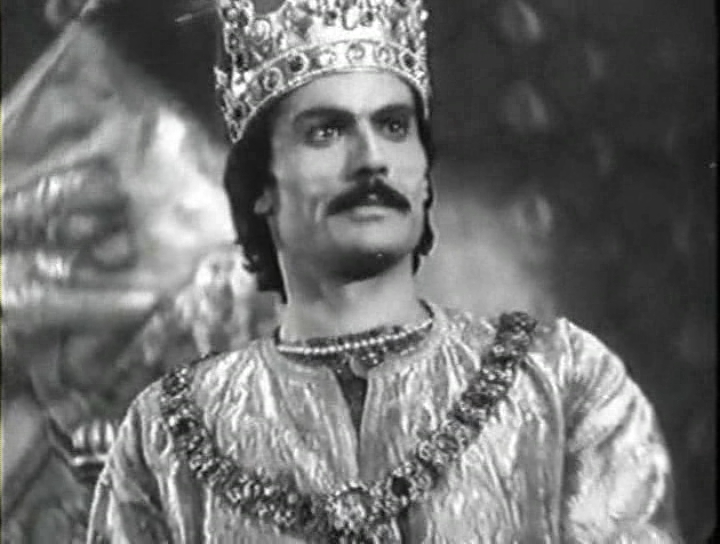 In the 1943 film "Giorgi Saakadze," actor Spartak Baghashvili portrays the 17th-century Georgian monarch Luarsab II. This Sunday, just as Georgia was caught up in another national debate about its constitutional future -- is it going to be a parliamentary republic, a presidential republic or a little bit of both? -- a voice from above pitched the idea of a constitutional monarchy. For the first time, the country’s ruling party, the Georgian Dream, appears to be politely considering the notion. That may have to do with the fact that the voice from above, while not divine, did belong to Georgia’s most influential and popular man -- Patriarch Ilia II, the 84-year-old leader of the Georgian Orthodox Church. “His Holiness spoke the truth when he said that a constitutional monarchy will bring calm to political and government life,” concluded Parliamentary Speaker Irakli Kobakhidze before meeting with the patriarch, along with senior Georgian Dream MP Eka Beselia, to discuss the mechanics of a monarchy. The governing party’s rivals have accused Georgian Dream of pandering to much-venerated Ilia II and diverting attention away from the constitutional reforms that could have far-reaching effects on Georgia’s democracy. The office of Georgia’s non-partisan President Giorgi Margvelashvili, no pal of the Georgian Dream, described the monarchy project as a PR stunt. Kobakhidze noted that a monarchy “will exclude the institution of the presidency” – an office whose powers the Georgian Dream would dearly like to restrict under its proposed constitutional reform. The idea of restoring the monarchy has been floated repeatedly since Georgia broke away from the Soviet Union, and not a few times by the patriarch himself. Many Georgians, who grew up on romantic stories about their valiant warrior kings and wise queens of unmatched beauty, enthusiastically support the notion. They see the monarchy, abolished when Tsarist Russia annexed the country in the early 19th century, as a core part of Georgia’s national identity. A fascination with the royal dynasty and nobility persisted for all of the Soviet attempts to do away with both the notion and the nobles. Following the patriarch’s proposal, Facebook has become the place for earnest discussions about who comes from what noble house. Two would-be sovereigns have already come out of the woodwork. Irakli Bagrationi, who descends from the last king of western Georgia, Solomon II (1789-1790;1792-1810), indicated that he would not be averse to reigning. “Name at least one of our presidents who went down in our history as a respected man,” the 30-something Bagrationi told Rustavi2 TV. “The Lord’s blessings come down on a king when he rules over a nation,” he informed viewers. An engineer from the western village of Ghvankiti, Bagrationi says that he currently leads “the life of an ordinary mortal” and does not intend to flaunt his royal blood. During the interview, a Rustavi2 reporter and His Would-Be Majesty, wearing a blue-jean shirt, took a stroll through the streets of Tbilisi to quiz other ordinary mortals about the idea of a constitutional monarchy. But, despite Irakli Bagrationi’s claim to the Georgian throne, he is not the man whom the patriarch is thought to have in mind. He is known to favor his own godchild, the five-year-old Prince Giorgi Bagrationi. A descendant of eastern Georgia’s kings, le petit prince is much feted by traditionally minded Georgians as the perfect child and heir to the throne. More rival claims could be in the cards. Georgia’s royal house of Bagrationi contains many branches, and not all of one mind. Meanwhile, the internet has erupted with sarcastic memes featuring stills from famous movies, such as “The Lion King’s” mystic monkey Rafiki with the infant King Simba. Amidst all the criticism, political leaders have reduced their royal enthusiasm, saying that there are no immediate plans for a constitutional monarchy. Kobakhidze told Rustavi2 on Wednesday night that his party, for now, will stick to its proposal of a parliamentary republic, but that the monarchy is something that Georgia should keep discussing.